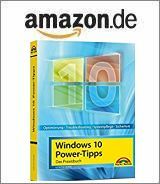 [German]During upgrading Windows 7 SP1/Windows 8.1 to Windows 10, some users are are receiving error 0xC1900101-0x2000C. Here are a few hints, to overcome this show stopper. Sorry, we couldn’t complete the update to Windows 10. We’ve restored your previous version of Windows to this PC. The install was not susccessful. In phase SAFE_OS am error applies during APPLY_IMAGE. The error has been reported also during upgrade from Windows 8 to Windows 8.1 (here is a long MS answers forum thread). According the answer, given from a Microsoft supporter, this error is caused by a driver bug check during image apply. His recommendation was, to disconnect all the unnecessary external devices connected to the computer (except the mouse and the keyboard). Another fix could be: try installing all the driver updates for all the devices installed on the computer and check if that resolves the issue. I’ve mentioned it in several blog post: Bevor upgrading Windows to the next version, remove all third party antivirus software. Also tuning tools and other system tools (auto updater shipped by a vendor, encryptions solution, virtual disc emulators and so on) should be removed. Within this MS forum post (adressing an other error), there are several recommendations. Tools like SpyBot can block the upgrade with there build in protection features (their filter driver blocks the upgrade). Deactivting the software isn’t sufficient! After uninstalling antivirus software, search for a clean tool from antivirus vendor. This ensures, that filter drivers and other remainings are wiped from the system. Accoding to several posts (see here and here) 0xC1900101 – 0x2000C may refer to a limited space issue in the system driver where Windows is installed. Maybe a folder Windows.old folder from previous update attempts eats too much space. So make sure you have sufficient space on your system drive. A good idea is also: Download an ISO of Windows 10 via Microsoft Media Creation tool and try to execute a clean install. In folder Panther are *.log files, while folder Rollback contains *.txt files. We need to copy the *.log files via context menu to the desktop. Then it’s possible to open the log-files in Windows editor. This Technet-thread contains parts of a setuperr.log with indications that something went wrong during WLAN driver init. In some cases, the analysis shows which driver are causing the error. Is EaseUS Partition Master 10.5 a Windows10 upgrade killer? This entry was posted in Windows and tagged Upgrade 0xC19001010x2000C, Windows 10. Bookmark the permalink.